Why is this recursive DFT algorithm not equivalent to this iterative method? Edit 1/30 - Taking @Fat32's edits into account, it seems like there is still an issue with the scale of the frequency axis. 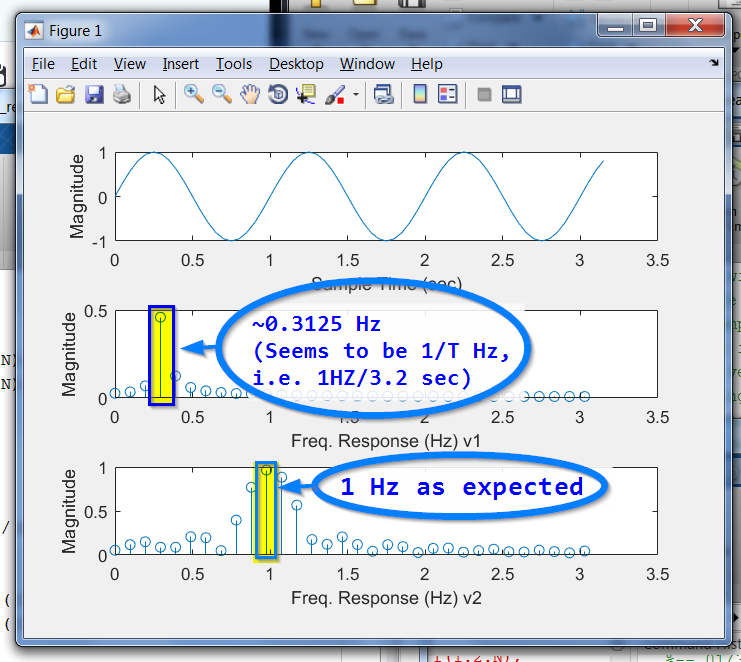 While version 2 correctly identifies the response at 1 HZ, version 1 seems to be covering a frequency range of 1/T. I'd like version 1 to cover the same range of frequencies as version 2. Can anyone help with this? I have 2 DFT algorithms that I would expect to return same frequency response. Unfortunately, the more efficient recursive algorithm does not seem to behave as expected. I would expect both algorithms to return the same result. However, this does not appear to be the case. Not the answer you're looking for? 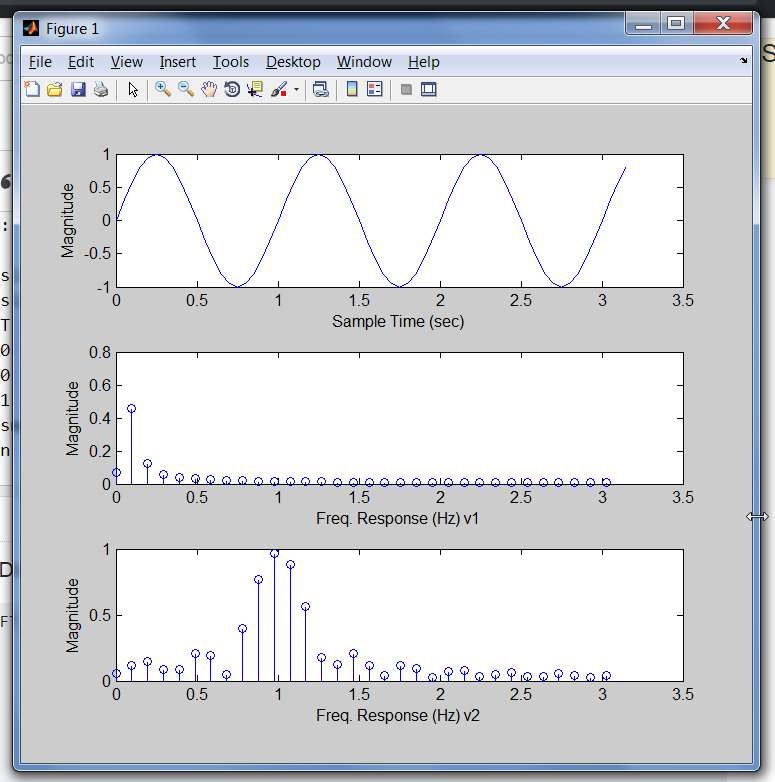 Browse other questions tagged matlab fft dft or ask your own question. Why do DFT frequency buckets need to be divided by sample period? Why is this DFT of a real symmetric signal resulting in complex valued coefficients? Do you know this phenomenon in DFT?